Happy Friday! It’s February and love is in the air. Let’s get to what I’m loving this week. The kids had themed dress-up days at school this week for spirit week. We all loved it! I was always totally into spirit days growing up, but I have to say it’s just as fun dressing the kids up. This week they had team spirit day, tacky tourist day, Marvel vs. DC day, career day, and pajama day. In all of my years of spirit days, I had never done tacky tourist day and it was my favorite day this week. Greg made them both a sweet camera which they both carried with them all day. I posted the rest of their outfits on Instagram, so you can check them out. Sunday was the Superbowl and while I have no interest in talking about the actual game, I will talk about the halftime show. Lady Gaga was on point. If you haven’t seen her performance, you can watch it all here. I am also stoked that she announced her tour dates the following day AND is performing along side Metallica on Sunday at the Grammy’s. That’s a match made in heaven if you ask me (and Greg). Greg has really gotten into the show Hunted, therefore, I have also gotten into it. It’s really interesting and I find myself learning something new each episode. Podcast update: the kids have been loving this Disney Story Central podcast I found from Denaye at Simple Families. The episodes are short so they are perfect for the ride to school in the morning. I am really into podcasts right now, so share your favorites with me! I recently cancelled my Sirius/XM subscription in my car because between podcasts and Spotify, I didn’t feel like I was listening to it enough to justify the price. Don’t forget to pop over to see what Misha is loving this week and share with you’re loving too! There is just something exciting about the first week of the year. We were back to work and back to school on Tuesday, so it was great to start the year with a four day week. I think we all were excited about a fresh start. We’ve been diligent about our work-out schedules this week, as well as keeping the house tidy after taking down all of the Christmas decorations. Here’s to making it a habit this year! We have been really on top of our game this week with our breakfast, lunch, and dinners. I have been thinking about sharing our meal plan on a weekly basis, but for now, I’ll share it here. We did a lot of food shopping and prepping Monday, so I was really thankful to have that extra day this week to devote to getting ahead. For breakfasts this week, I made Italian Sausage Egg Muffins which been quick and easy to warm up each day. For lunches, Greg and I had jar salads. It was my first time doing these and I am hooked! They are so easy and super filling. Our favorite dinner this week was Buffalo Chicken Sweet Potatoes, but I’m also excited to try our Mexican Chicken Zucchini Boats tonight, inspired by this recipe. In the spirit of keeping it real, I will also share that the guilty pleasure we’ve been loving this week is the Cheez-Its Snack Mix. Oh my, that stuff addicting! I am hopeful we can keep this momentum going past the first week of the new year. I have been getting back into podcasts lately. I haven’t listened to many since the first season of Serial, but the two I have been loving lately are Happy Hour with Jamie Ivey and I’ll Have Another with Lindsey Hein. Definitely check them out! Attention Florida residents — The Discover Disney ticket is back this year with both 3 day and 4 day options. We are so excited to take advantage of the great deal! Also, SeaWorld is offering the Preschool Pass again! I am loving several books right now. Last month, I finished Emily Ley’s Grace, Not Perfection: Embracing Simplicity, Celebrating Joy and it was amazing! I highly recommend it for any woman in any stage of life right now. I am onto The Magnolia Story and loving it so far. I am hoping to get it done before my classwork ramps up. I also got a couple cookbooks for Christmas too which is helping in the meal planning department: Run Fast, Eat Slow and Inspiralize Everything. What are you loving on this first week of the year?! Don’t forget to hop over to see what Misha is loving and I’m also linking up with Carolina Charm today. 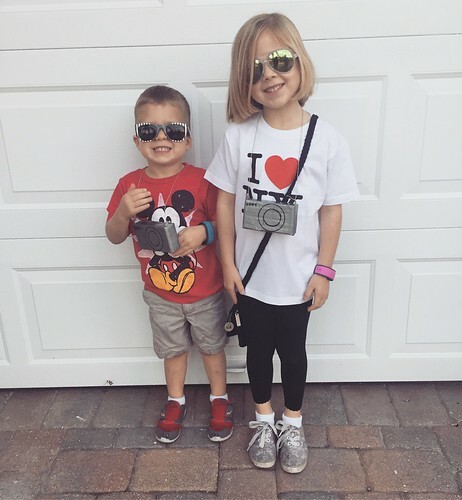 I know that I have mentioned our love for Sugarcrash Kids before, but I shared a little bit more over on Orlando Moms Blog this week. I also haven’t shared that fun news that the kids were interviewed at the end of one of the podcasts this season! They are in the BUGS!!! episode and you can listen to it on their website. They are at the 17:55 mark if you want to have a listen. They were so excited when they heard themselves while listening to the podcast. Last week, Misha mentioned her love for the Cat & Jack line at Target and I couldn’t agree more! I was thrilled to get to buy some itty bitty baby boy clothes for a good friend this week. I had so much fun browsing all of the adorable baby items. I still stand by one of our favorite and most efficient baby items ever: the inverted zipper pajamas! Season three of The Cramazingly Incredifun Sugarcrash Kids podcast began this week and the kids loved it! If you haven’t started listening yet, do it! It was hard to be on the internet and social media this week without becoming just furious with what is happening in our nation and on our college campuses, BUT I did come across an amazing article about a Colorado Spring high school English teacher. Summer is officially here! The kids had their last day of school on Wednesday and we capped off the year with our annual last day of school picture in front of the front door. I love looking at everyones’ first and last day of school pictures each year and my feed has been filled with them over the past couple of weeks. 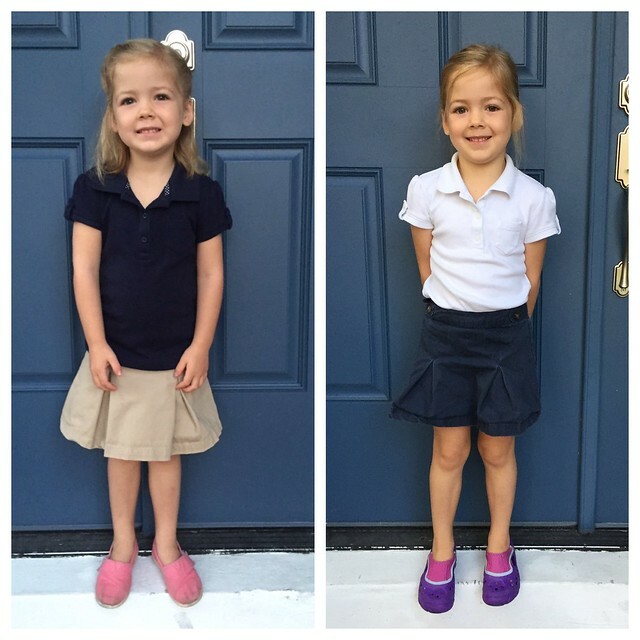 Though, I am still amazed with the difference one school year makes. 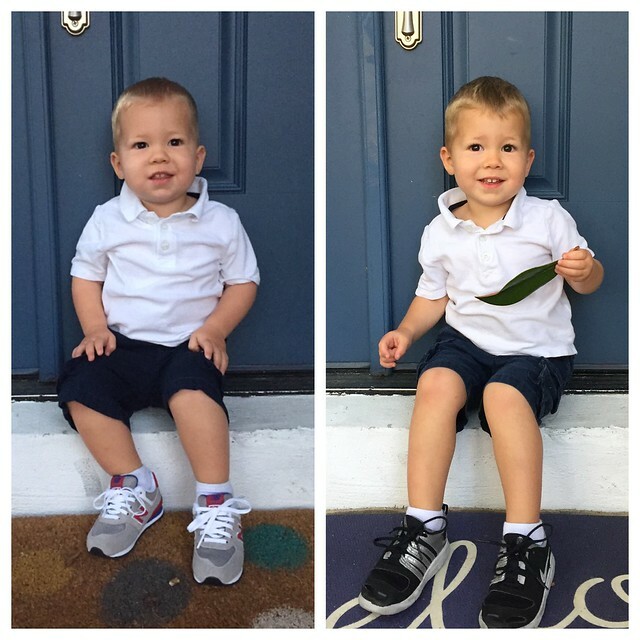 Kenley grew SO much this year and Crosby became a little boy. Don’t forget to head over to see what everyone else is loving this week and this month and add your own loves to the link-up below! Happy Friday and happy 2016! You all have heard me talk about my Simplified Planner or the app, but I am back with another awesome Emily Ley idea. Right now, she is hosting a simplicity challenge on Instagram. 30 days to simplify your life. There is still time to catch up, head over to her Instagram page to see the tasks. Each are super easy and I feel so accomplished after each one. It’s a great way to start 2016! As is everyone else in America, we are currently obsessing over Making a Murderer. We are six episodes in, so no spoilers please. Related: we’ve finally joined the rest of society and logged into Netflix, thanks to Michael. We have also been all about the podcasts this week. We finally started listening to the Sugar Crash Kids podcast in the morning on the way to school and we LOVE it. Kenley asks for it every day. A couple sweet friends had shared about it last year, but I just hadn’t gotten around to listening yet. We were missing out. It’s so great! You should definitely subscribe to it on iTunes. You won’t be disappointed. I also have been catching up on Serial on my way home from work. I’m still undecided on whether it is better than season one or not, but I am definitely hooked. It’s finally “winter” here in Florida! We’ve had temps in the 50s and 60s this week which has allowed us to break out our boots and puffy vests. Hopefully it stays a while, but who knows! During Christmas, I was introduced to the Turbie Twist by my family. As soon as we got back to Florida, my mom and I were shopping and I had to pick it up. I love the microfiber towels and I’ve shared before the DevaCurl towel that I had used, but the Turbie Twist is FAR better. I love it! I got mine at Bed, Bath, and Beyond, but they are also on Amazon and at a couple other retailers. Now it’s your turn to join us for Friday I’m in Love! Share your blog link with us by clicking on the blue button below. The linky party will stay open the whole month of January, so add your post each week and come back to see what everyone else is loving! 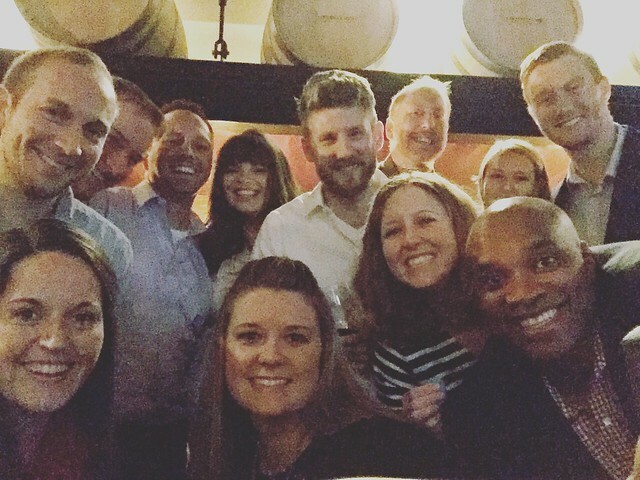 We had Greg’s company Christmas party on Monday night at our favorite place, Cooper’s Hawk. I submitted my final paper on Saturday, so I took this opportunity to celebrate that as well. It was a fun night! 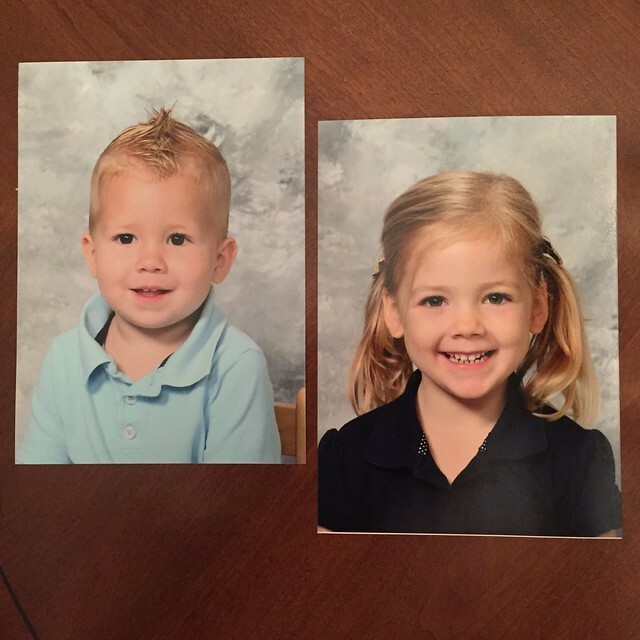 The kids’ school pictures arrived yesterday! I am so happy with how they turned out, especially considering it took Crosby attempts on at least three different days to get him to even agree to have his picture taken. Thankfully, they got him when Kenley was getting her picture taken and they both turned out great. Serial is back for season two!! Who is excited?! Happy New Year! I can’t believe it’s been almost a year since Misha and I started the Friday I’m in Love series. I hope you’re still enjoying reading it as much as we’re enjoying writing it. I’m so glad that Amanda, Mary Beth, and Laura have joined in on the fun. You should join too! Each Friday we share what we’re loving each week…the big stuff, the small stuff, it really can be anything! Remember this picture that I posted on New Year’s Eve before our dinner party? 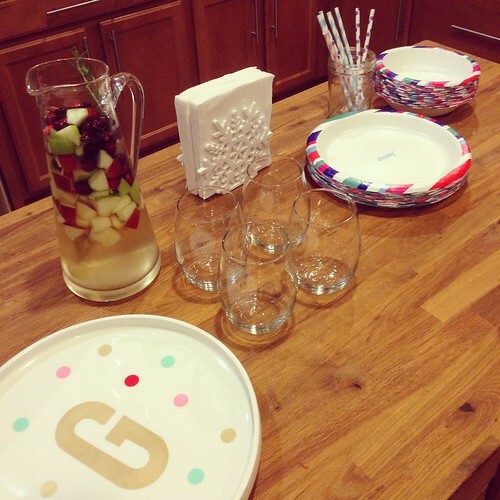 Well I used the hashtag #CheekyNewYearContest to enter the Cheeky Home contest and… I WON!! Greg and I will be enjoying $250 to the restaurant of our choice (Cooper’s Hawk Winery) for a few date nights this year. Not a bad way to ring in the new year, right? Lilly Pulitzer for Target was announced this week and it launches on April 19th! I’m excited to see what fun colors and prints will be available. I saw this article, To Build (or Break) a Child’s Spirit shared on Facebook last week and I really liked it. On one hand, it’s always nice to have a good reminder about communication with these little people we’re raising; and on the other hand, I’m constantly wondering how my parents ever raised us kids without all of these parenting articles constantly thrown in their faces on social media each day. Do this, don’t do that…. I think they did a good job regardless. We found out this week that SeaWorld Orlando annual passes are buy one, get one free AND the Preschool Pass is FREE for kiddos five and under. That’s a good deal, ya’ll! Check it out. I have finished the first season of Serial. I know I’ve mentioned this before, but if you haven’t started listening, what are you waiting for?! It is so so interesting. You can either download the podcast or go to the website to listen. While I am happy that I finished the first season, I’m also just a little bit sad that it’s over. Your turn! What are you loving this week?